Vladimir Putin loves making his public appearances, and his latest one is, admittedly, pretty cool. 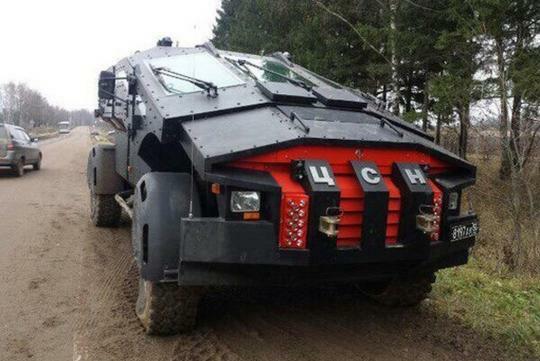 Putin paid a visit to Russia's Federal Security Service (the successor to the KGB), to check out its newest collection of armored vehicles. That includes the monstrous and imposing ZiL Karatel, a red-faced, snub-nosed monster of a thing. 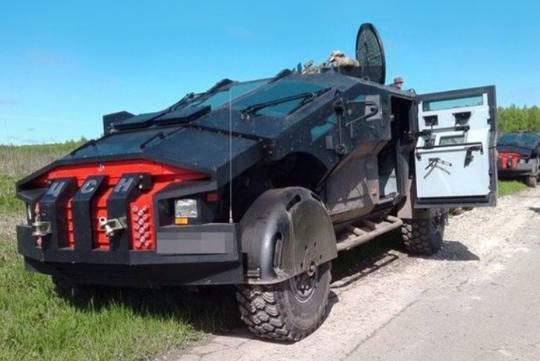 While there's plenty of resemblance to the Batmobile, Russia Today reports the Karatel's nickname comes from another comic – it's called The Punisher. Capable of hauling ten and fitted with a v-shaped hull to better deal with explosions. Its American analog would likely be the (much less cool looking) Cougar MRAP that's been in service since 2002. As Foxtrot Alpha explains, the FSB has gone out of its way to keep the Punisher out of the public eye, but with such an official showing, that's likely going to change. 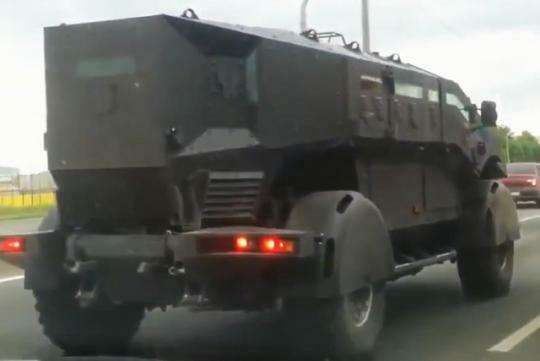 According to Russia Today, Putin also inspected the Viking, an armored vehicle that's actually based on the Kamaz 4911 Extreme. 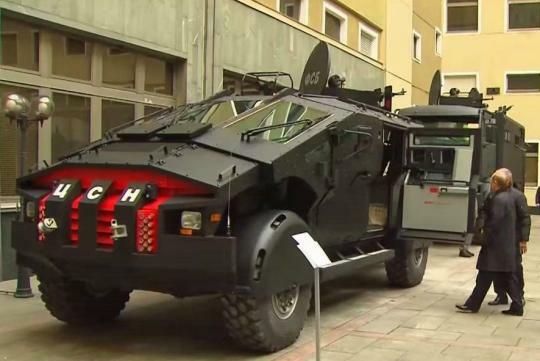 So yes, this is basically a militarized Dakar Rally truck. The Kamaz Extreme buggy, which is roughly similar to a Polaris MRZR, also makes an appearance. Putin was accompanied by FSB boss Alexander Bortnikov and Defense Minister Sergei Shoigu on his tour. You can check out Putin checking out the Punisher and Viking in the attached video. It's all pretty straightforward, but seeing them alongside actual people gives a genuine sense of scale of just how big these trucks are.